A few weeks ago I wrote about going to speak to a group of 7 and 8 year olds at my primary school about Kids Club Kampala. I am excited to announce that last week the children recorded a CD of themselves singing songs which they are going to sell to raise money for the children of KCK! The CD will go on sale next Friday, and I will post details of how you can purchase a copy soon. The CD is going to be sold for £5. I was speaking to the teacher of the class on Sunday and she was telling me how several children asked her if instead we could sell the CD for £10. On asking them why, they replied 'so that we can raise more money so that the children in Uganda can have more food to eat'. I was again touched by the love and compassion that these children have. So often as adults, we become cynical and don't think that what we do can make a difference, or we become apathetic and don't care about the needs in the world, or we become so wrapped up in our own problems that we no longer see the needs that are there. 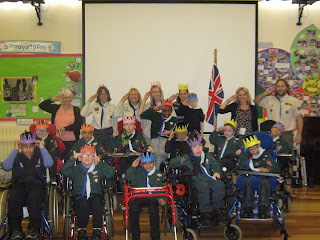 The other day my mum visited a cub scout group for disabled boys, and talked to them about the work that Kids Club Kampala is doing with children in Uganda. Most of these boys are quite severely disabled, all of them are in wheelchairs and some require round-the-clock assistance. 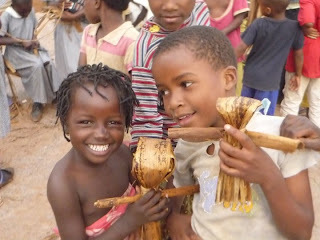 Following my mum's visit, these boys held a fundraiser and raised £50 for Kids Club Kampala. I was just overwhelmed by this love and generosity. Maybe we need to learn to be like these children, and look at the world with hope not despair; to dream big, and to believe that we can make a difference, regardless of our age or experience or circumstances. Because we can.